Don’t knock it ’till you try it! So much fun! Check out the Sailing class here at Saint Rose for Gym credit! 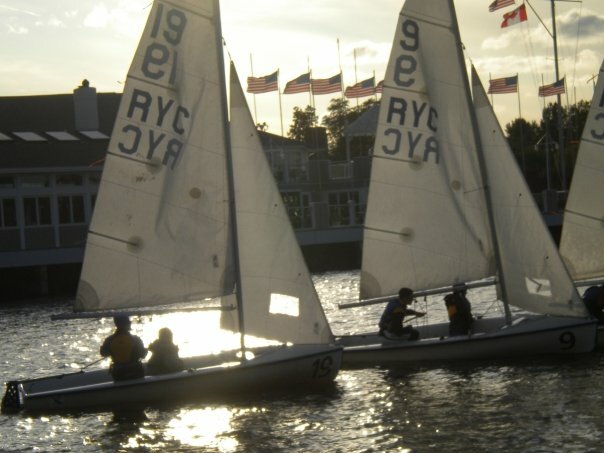 Being right by Lake Ontario, boating and sailing is something not uncommon for people and students to participate in. It was so fun and exciting, meeting people from all over the country and being out in the sunshine on the water after school every day are all things I will never forget. Believe it or not, a lot of colleges have sailing teams so naturally, I wanted to continue with the sport at college. Many of the colleges that I was looking at didn’t have a strong Communications program which was what I was interested in studying. After taking a week during the summer to go all over the Northeast to tour colleges, I was exhausted. I was no closer to figuring out what school I wanted to go to. My mom suggested that on our way home we stop in Albany for lunch and look at Saint Rose! I did NOT want to. I was tired, cranky, and very confused after all the tours that week. I had seen the information about Saint Rose in the mail and my email, but I was set on going far far away for college (I thought that 3.5 hours was too close…I was clueless). Saint Rose did not have a sailing team, so I was disappointed. Still, my mom encouraged me to look. I finally agreed to go and check it out. We drove by Saint Rose and I immediately was drawn to how different the campus was compared to the typical “gated community” campuses I had seen. I was intrigued. 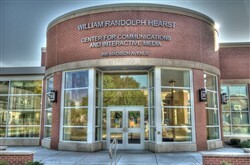 We took a tour and I saw the CCIM building for Communications majors. I was so impressed! I loved how unique everything was about this campus: how the upper class dorms were old houses, how the campus was so green, how all of the buildings were so close, it was fantastic! I sent my application in and was accepted! In the end, I had to choose between academics and sailing for my top two college contenders. That was a really tough decision.